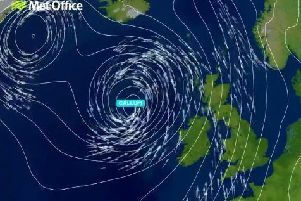 Lurgan and others parts of Northern Ireland have been issued with an amber severe warning of winds up to 100mph. The amber warning was issued by the NI Weather and Flood Advisory Service on Monday evening. The severe weather looks set to arrive in Lurgan and the rest of Northern Ireland in the early hours of Friday. The advice from NI Weather and Flood Advisory Service comes only hours after the Met Office issued a yellow status weather warning for the entire Province. The warning concerns an area of deep low pressure that is expected to affect Northern Ireland on Friday. "Current data is indicating the risk of damaging wind gusts, possibly in excess of 80mph and even up to 100mph in exposed coastal areas," said NI Weather and Flood Advisory Service. "At this stage there is still some uncertainty regarding the storm and it may be subject to change. "However the public should be aware of risk of disruption to travel (especially ferry services), possible structure damage (i.e. damage to roof tiles), risk of downed trees and power-lines. "Injuries and danger to life from flying debris and interruptions to power supplies." The NI Weather and Flood Advisory Service confirmed that heavy rain is also expected. "Heavy rain is also expected which may need to flooding in places along with risk of damage and flooding to coastal areas due to large waves over topping sea walls and defences." The warning is valid between 4:00am and 9:00pm on Friday October 10. 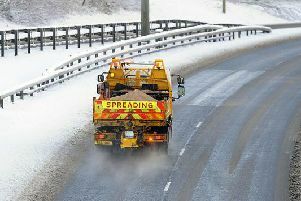 Will it snow ‘for four months’ in Lurgan this winter?